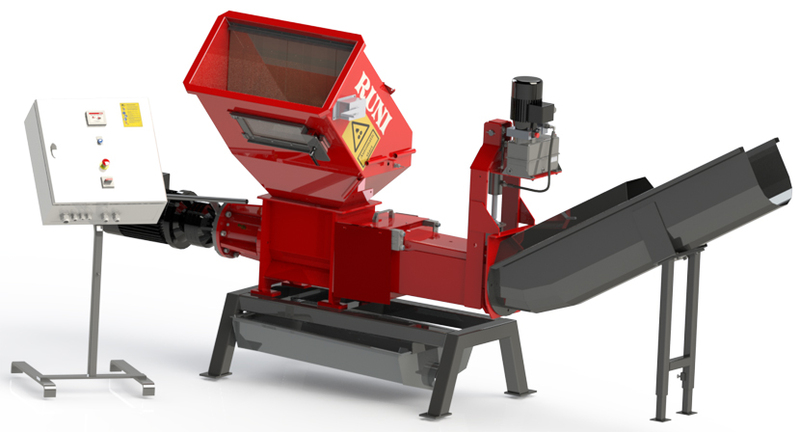 The SK240 can also be used as a dewatering/depackaging screw for PET bottles and ALU cans; The screw is adapted for this application which makes it possible to put full containers into the hopper and separate the PET or ALU from the contents. This process optimises the recycleable value of the containers and allows the fluid to be disposed of in an environmentaly conscious way. Compacting and de-watering PET bottles at a ratio of app. 8 : 1.